The Ohio Valley had a rich diversity of flora and fauna that more than sustained Native Americans living off the land. However, by the end of the 18th Century encroaching settlers had pushed much native wildlife to the brink of extinction. The Carolina Parakeet, the only native parrot in North America was one of those endangered species. This beautiful bird was so tame that Native Americans enjoyed their company. 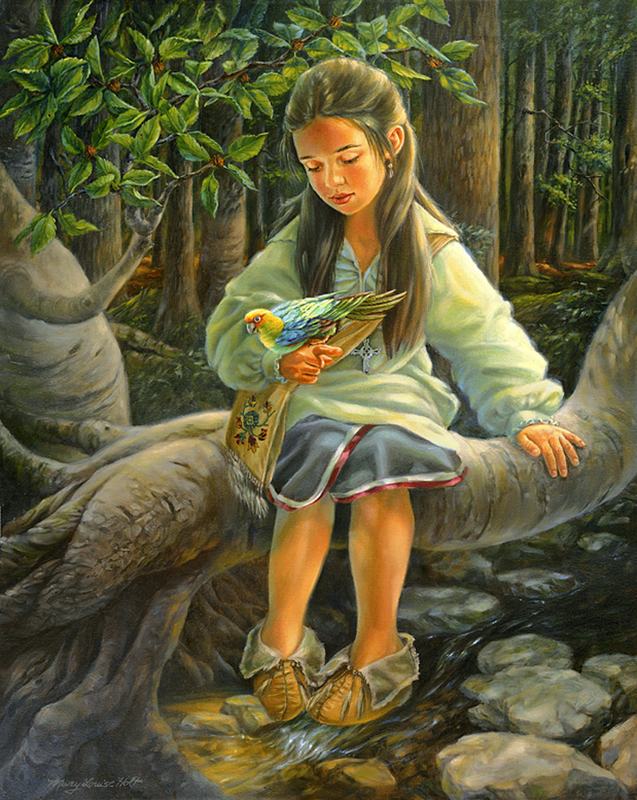 I imagined a Shawnee child, gathering nuts and berries, stopping to play with a Carolina Parakeet just as our children would today if they could. Sadly, the last Carolina Parakeet died in 1918.